How to Save Your House After a Flood? Even though water can quickly damage any type of structure, drying it out after a flood is a somewhat longer process. Homeowners who face water damage in Coto de Caza might be eager to solve this problem themselves, but the task is not as straightforward as it seems. The water damage restoration process is best left to professionals who have all the tools and know-how for a quick solution. Properly drying out your house and belongings is important and includes several stages, such as drying out wet carpets, introducing air flow and getting rid of mold. 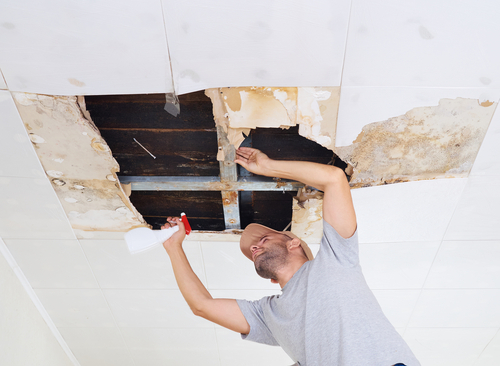 Find water damage professionals who can take care of all that, so you know the job is well done. If you are worried about the cost, check to see if you have the required insurance coverage. A high level of water doesn’t mean that the house is destroyed, but it will take some time and effort to fix it. The most important thing is to take care of safety at all times in your Coto de Caza home. This means no home appliances should be switched on until there is no standing water left. When the water is dealt with, the state of the foundation should be checked to see if any repairs are necessary. If you have assessed that there is no need for demolition, only for some repairs, it’s time for full water damage restoration. How do you clean your house after a flood in Coto de Caza? Dealing with the aftermath of a flood requires haste, but also caution. You need to see if everything is safe before entering the house and removing water. Determine whether the carpeting and rugs can be salvaged or not. Inspect all furniture and open drawers to dry them out and clean them thoroughly. A homemade cleaning solution can sometimes do the trick, but you might need to polish or reupholster some of the furniture. Check the appliances for any loose cables or exposed wires. The affected clothes which can be salvaged will probably need to be cleaned twice. For the first time use cold water, and for the second the hottest water safe for the fabrics, with detergent for both times. How do you fix water damage from mold? After the cleanup process is complete in your Coto de Caza home, you might still need to deal with some mold. It appears in damp areas, so you need to remove all leftover moisture to stop the growth in its tracks. Left untreated, mold can spread its spores everywhere as long as it’s damp enough. The walls, floors and ceilings need to be cleaned first, and then all the large furniture. This is something best left to experts who have all the protection and equipment necessary for an expedient remedy. Afterwards, upholstered items need to be looked at and also cleaned, as well as any washable fabrics. The longer a flooded or water-damaged house goes without remediation, the bigger the subsequent negative effects will be. 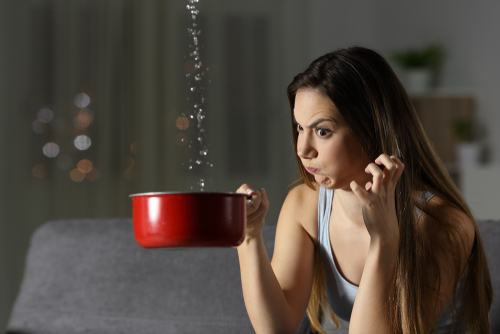 In order to avoid unsalvageable items and the spreading of mold, call the leading experts with vast experience in dealing with water damage in Coto de Caza effectively: Emergency Home Solutions. Our extensive knowledge and experience enables us to quickly take care of the problem you are facing. Instead of cleaning your house after a flood, you can head on to Thomas F. Riley Wilderness Park and enjoy the fresh air, while we take care of everything for you. Call us at any time for a professional and reliable service.